Jasmine and I were still at the beach. I still wanted to take her out to dinner since its pass lunch time. "Hey Jasmine, wanna go out for dinner?" "Ohh sure, I&apos;d love too!" "Sweet!" I could tell Jasmine was super happy because Matt was now here. Yes, Matthew Lee Espinosa was at the beach with us. He&apos;s such a good friend. "Yo, Matt where are you staying at?" "At this hotel called hotel mead why?" Omg! Thats where I was going to take Jasmine for dinner! "Yo man, take us with you!" Jasmine looked at me confused. "Why?" "Thats where our dinner reservation is at!" "OMG CAMERON! That hotel is so fancy! Omg this is perfect!" "I know, I tried my best for you." "Thank you Cam." She hugged me and I felt satisfied with myself. I did good! Cameron was hanging out with this chick named Jasmine and so far, she seems cool. "Hey Jasmine, are you going to Magcon in the dells?" "Heck yeah! Taylor gave Kali and I a ticket!" "Awww how nice!" "I know, hes so sweet!" Cameron got up and walked away. He looked either mad or jealous. Probably both. "Whats his deal?" Jasmine looked concerned. 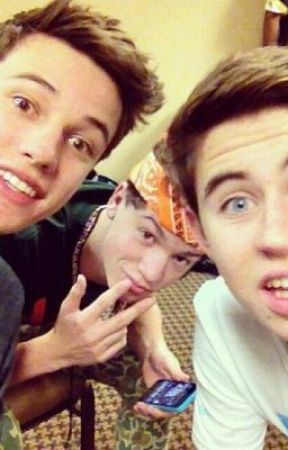 "Well, heres the thing, both Cameron and Taylor like me and they both want to be with me but I can&apos;t be with both because I believe in one guy and one girl together. So I have to pick who to be with. I told them they had to really impress me to get me. Its so hard on me because I love them both so much!" "Make it easy on you and go with me!" "Matt! Your such a dork!" "Yeah I know." "Okay, I know your straight but who would you pick. Cameron or Taylor?" "Mhmmm, Carter." "Carter&apos;s not even an option." "Carter is always an option!" "I&apos;M TELLING CARTER YOUR GAY FOR HIM!" "Jasmine! I&apos;m not gay for Carter!" 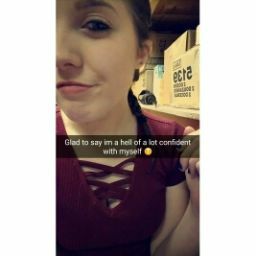 "YEAH YOU ARE! I SHIP IT! I SHIP IT! #CATT!" "Jasmine, your crazy!" "You know you want it to happen." "No, hes just a really good friend of mine. Hes like a brother to me." "I know, but just saying, I will still ship it." "Okay whatever you want." "Matt, your really nice. I know we just met, but I feel like I can tell you anything because you seem like a guy that would always understand me." "I do understand you. I know its hard on you but you have to think of which one would make you feel better about yourself and which one you think will make you feel safe and protected." "See I know but they both have all that. I know Taylor is protective and I love that, I know he can protect me but so can Cameron." "Also consider that you have to trust them and pick the one you think wouldn&apos;t leave you ever. He has to take care of you when you need it." "I know. I need to talk to someone else about this too." "Who?" "Nash."